Shillong, Nov 12 : It is known to all that rice forms the staple diet of the people of Meghalaya. Besides a variety of sweets and snacks, it is also used to make beer. 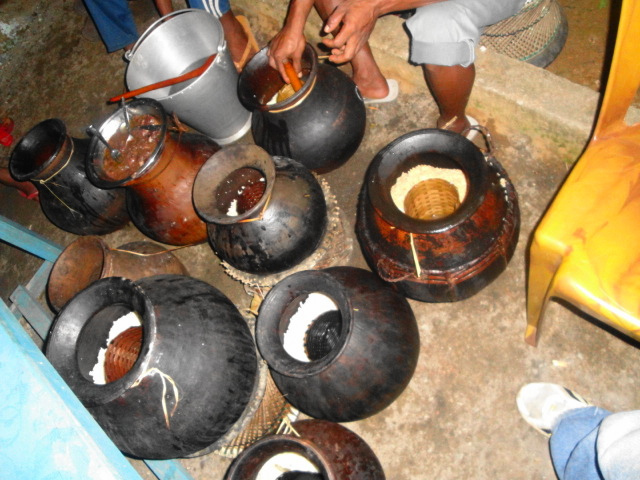 Rice beer is quite popular among the indigenous communities in the northeast. There is also a lesser known nerve-relaxing wine based on the staple cereal. "People know about the local rice-based brew called 'Ka Kiad' in Khasi, but few are aware of wine being made of rice," said Derby Shullai, whose rice-wine was a major attraction at the 10th Shillong Wine Festival organized by the Forever Young Club at the scenic Crinoline Water Falls in Pine City on Saturday. "I prepare the wine from joha rice, which is first boiled, fermented and then strained," said the homemaker, who prepares the brew at her house in the Risa Colony locality of the city. "While the local rice-based brew is crude as it is not properly distilled, the rice wine that I prepare is distilled over a year in hygienic conditions," she said. There is a great demand for her rice wine. It has refined starch, she said adding that wine is good for health. Elderly Matilda Mary Sawkmie took to wine making ever since she retired as deputy secretary in the Meghalaya government. "I have been making wine from locally grown strawberry, pineapple and 'sohiong' just to remain active in life," the elderly lady giggled. Young Rachael and her friend set up a counter selling dry wine based on local fruit 'sohmon'. "Our wine has a pungent odour and a taste that tingles the tongue," she beamed. In fact, locally grown ginger, mulberry fruit, strawberry, litchi, pineapple, passion fruit, blackberry, plum, banana, jackfruit have all been fermented to produce a sensual variety of wine. Even as wine making is still to be legalized by the state government, the 'Scotland of East' has been raising a yearly toast every winter for a decade now.